The Tournament of Cookbooks Begins! I love the oatmeal pancakes in Good to the Grain. I've already asked for the book for Christmas. 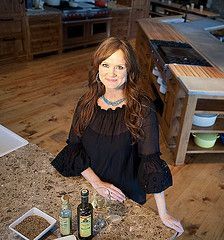 After looking at the featured cookies from My Sweet Mexico on the Pioneer Woman site, I want that book too! I've been wanting Good to the Grain for a while (as a cookbook reviewer, I get spoiled by getting so many free copies of books, and I couldn't get my hands on one of those because they were gone!). This review finally pushed me over the edge--just went on Amazon and bought it. Yay, GTTG! And yay, Ree! She always seems like a fun person to hang out with.